Having finished the top for In Full Bloom, it was time to tidy the sewing table and deal with the leftovers. 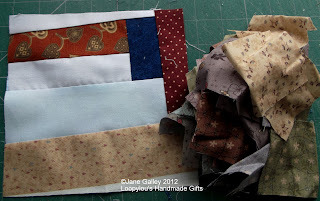 I had some pieces big enough to go in my stash, lots of 21/2" squares to go in a future project, and even managed to get a crumb block. That left the way clear to do something else, but first, the afghan. The instructions were found, the third quarter made up and joined to the fourth quarter. That gave me two halves. 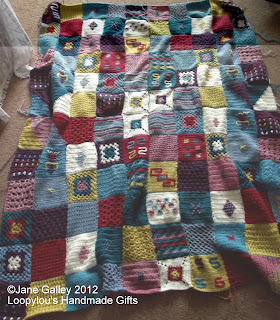 These now joined together to form the whole afghan, just an edging needed to finish it. Oh I love this!!! Greta for snuggling up under!! Your afghan is beautiful! Do you have to block the whole thing when it's finished, or do you just need to add the edging? 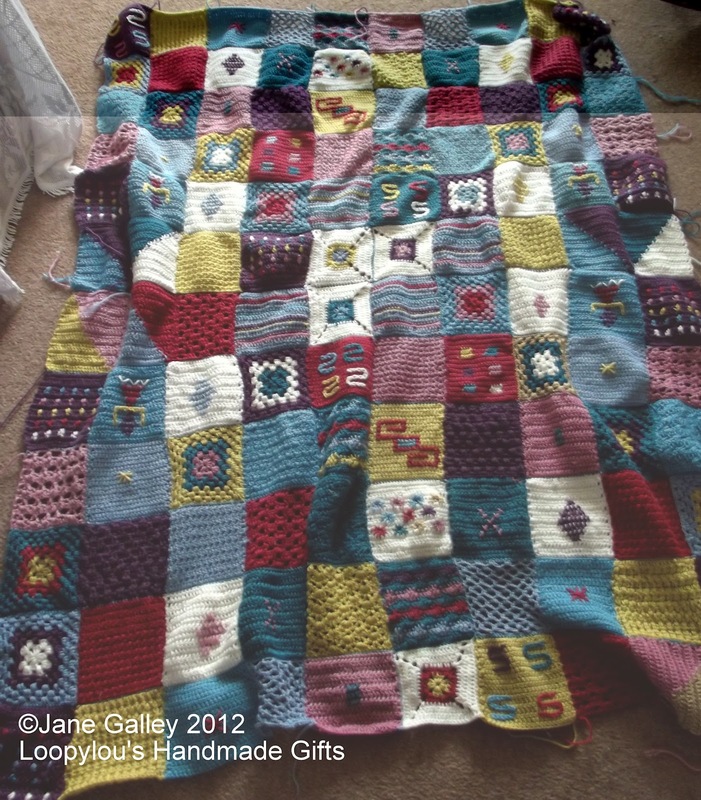 The afghan looks amazing - very snuggleable. Wow that is a beautiful afghan. I love all the colors. Oh My soooo pretty. I like seeing it grow and the finished afgan is great. Enjoy it when the winter comes. Congratulations on the afghan. An amazing job.